Wanton Creation – Page 2 – The tales of a book and music nerd who floats between Australia, Sweden and Britain. 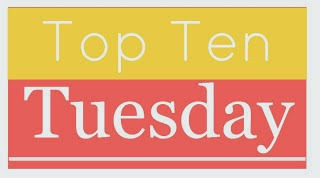 Top Ten Tuesday is a weekly meme hosted by The Broke and the Bookish, and while I don’t participate every week (as the last couple of weeks I have been doing other memes) this week’s topic was too good to refuse. So here we go, my Top Ten Bookish Problems! Let me know in the comments if you relate to any of these or have any bookish problems of your own you’d like to share! My to-be-read pile is so high it’s beginning to interfere with flight paths of local aircraft. But seriously, it is pretty astronomical and shouldn’t be judged by my Goodreads account which I have never managed to update fully. What I do know is back in Australia in boxes are at least 200 unread books. Here in Sweden I have maybe a dozen unread books. And my wishlist on The Book Depository I believe is around 270 books. So…my TBR pile is actually 500 books? Oops. I buy books faster than I can read them, as my first point there illuminated. I don’t know what it is about buying books. Maybe it’s the desire to have a choice when I choose my next book – I do have a bad habit of reading several books simultaneously. I do have a bad habit of reading several books simultaneously and also I swear I won’t connect all my problems like this. But this can be an issue. Because what happens is I find myself “reading” five books at once, but only actually reading two of them. After a few months some of the others have been left for so long I forget what has happened and have to restart them or shelve them for later. This definitely isn’t good for my reading habits and goals, so I need to try and dedicate myself to ACTUALLY FINISHING MY BOOKS more. Chocolate and books are a match made in heaven until you drop a few chocolate crumbs on a page and then in a desperate but futile effort to remove said crumbs from the page you accidentally smush them into the paper, permanently leaving a stain that says “I’m such an idiot that I spilled chocolate on my book”. 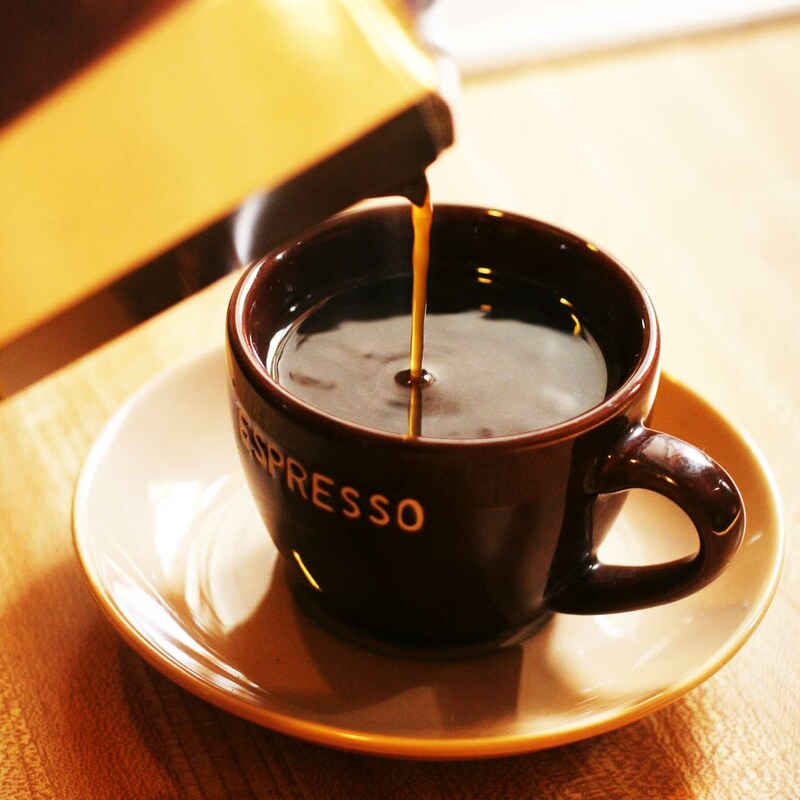 Having said that, it’s probably better than coffee, or in one quite weird instance blood (it was an unnoticed paper cut, okay?)! Books that have lots of really short chapters can be a total pain because when you really want to go to sleep the “just one more chapter” syndrome kicks in…over and over again. And then all of a sudden you have to wake up in three hours and you’re faced with that crucial decision: do I just shrug and do an all-nighter, or do I pretend to be an adult and sleep even though I know I’ll feel like rubbish anyway? Younger me would have certainly voted the former of these two options, but these days those lines around my face are suggestive of a man who would choose the latter. Just as I think I might like to try e-books I suspect my eyesight is going on me. Yes, at the ripe old age of nearly 29 I suddenly find I can’t look at a bright screen for more than a couple of hours without my eyes and head hurting immensely (how did I ever play video games for days on end when I was younger?). Of course, there is a good chance a pair of glasses will fix this, and considering my entire direct family wears glasses this fate was perhaps a little inevitable. Unfortunately, I’m also stubborn about silly things and this may be one of them. I really don’t read enough. I know a lot of people say this but I really don’t. It’s been quite a few years since I read over 50 books in a year and averaged a book a week. What kind of aspiring writer and English teacher am I? I mean, I know I’m busy and have been for a few years with the whole international relationship that turned into me moving across the world and all that jazz, but still! I see you bloggers out there, those of you that read over 100 books last year, or in some cases over 200! You’re amazing, and I’m sure not aiming that high, but I would like to do a little bit better. We’ll see what this year brings. It’s early days still. I am never going to read all the books I want to read. It’s a stark realisation, but it’s probably true. Even if I could hit 50 books a week, it would take me 10 years to finish off my TBR list. And considering that TBR list has been conjured up entirely in the last 3 years, logically this means that in 10 years time, another 1500 books will be added to it. Fast forward the next 30 years, and if I haven’t died from a caffeine overdose the TBR list will likely be in the realm of 5 digits and I will be a heaving weepy sack of word-hungry disappointment…or maybe I’ll find a way to freeze time and yes that is what I’ll do actually so don’t worry I only have 9 bookish problems it turns out. Excellent. What are YOUR bookish problems? This week sees some pretty interesting releases in the world of music. One of them, the album Vestiges & Claws by José González, seems to not be available just yet on Spotify so it might be a genuine worldwide release next Tuesday. But here are three other albums you might like, all available from this week onwards. Another indie rock quartet from England, this is the band’s second album and follow up to 2013’s In Love. Already receiving mixed reviews, it will strike a chord with those who are fans of that scene in general as the band is often compared to others such as Vampire Weekend, The Maccabees and Foals, although I dare say they don’t quite possess the talent their comparisons often showcase. It’s not bad, but it’s not particularly amazing or ground-breaking either. Easy to listen to, it’ll be a crowd-pleaser all the same. I mentioned this album, Hay’s 12th solo album, a couple of weeks ago, and it has finally been released on Spotify (although sadly no clips are up on Youtube and only the same clip that I have already shown you on SoundCloud). It sounds great -Colin Hay is one of those artists who just keeps getting better with age. Continuing the folk sound of his last couple of albums, this album has an optimistic energy with just a small amount of melancholy lurking beneath as he addresses themes of people going through rough times holding out for something better in the near future (hence the title). His voice is, as always, the most awe-inducing aspect of this album. Nice easy listening from an artist who has found what he is good at and sticks to it. Richard Ayoade is a British writer, director, actor and comedian. He directed and co-wrote Garth Marenghi’s Darkplace, as well as playing Dean Learner in that series, he was infamous as Maurice Moss in The IT Crowd (which was an award winning role for him), and he has also directed the films Submarine and The Double (the 2013 movie, not the 2011 one of the same name). 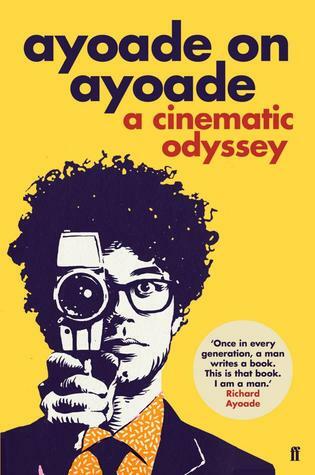 At the end of last year, he published his first book, Ayoade on Ayoade: A Cinematic Odyssey. This honestly has to be one of the funniest books I have ever read, even if it is totally ridiculous. The interviews themselves are also brilliant and seem to serve as a sort of narrative thread which connects the book in a way the page order does not. The director persona is not only on an intense ego-trip but is also very surreal in thought. In the very first interview he explains how he spent his time in the womb contemplating how he wanted to escape and start making films. When later asked about his childhood, he says he didn’t have a childhood and then adds that he doesn’t believe in childhood. As the interviews continue, he becomes increasingly subversive as he deflects most of the questions to pursue his own agenda – something Ayoade has gained media attention for doing in real life recently, to mixed reactions (though I must say I find him more entertaining than others in this risky interview style). Although the interviews overall run the risk of stretching the same joke a bit thin, the constant breaking up of flow by references to the appendix helps to keep the general feel of the book fresh. I wouldn’t say it’s a book that you could read in a single sitting – I took a couple of months slowly digesting it to enjoy it more. Overall though, the book made me laugh out loud which is something very few books have managed to achieve. 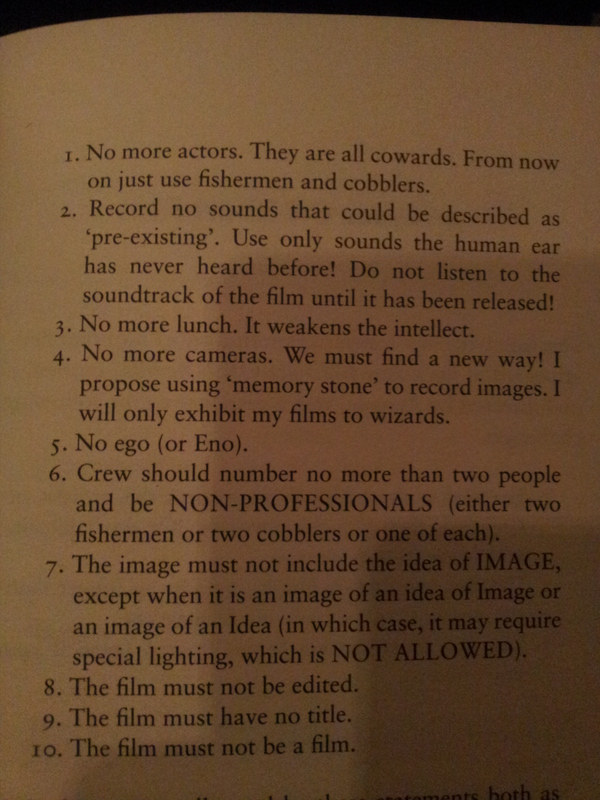 If you like film, you might enjoy this book. 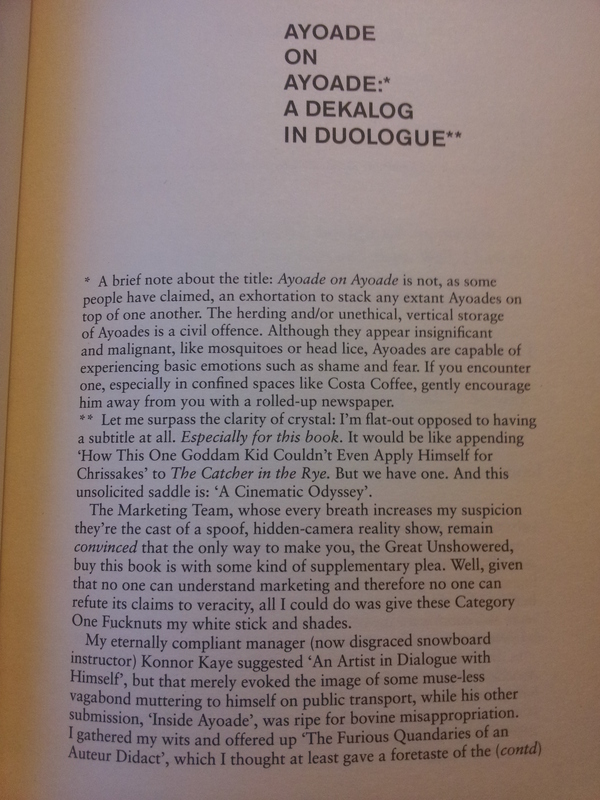 If you like Ayoade, you might enjoy this book. If you like both – this book is definitely for you! I’ll finish off with another one of my favourite passages, from one of the earlier interviews in which Ayoade discusses forming himself. If any of you have read this book I’d love to hear your thoughts on it! Teaser Tuesdays is a weekly bookish meme hosted at Should Be Reading. To get involved, all you need to do is take the book you’re currently reading, open it to a random page and share two sentences from that page. No spoilers, of course. 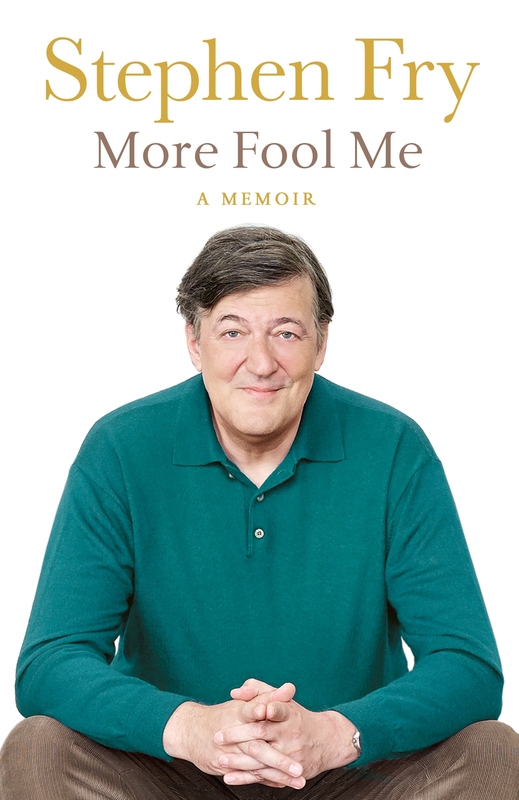 This week my sentences come from More Fool Me, the third memoir of Stephen Fry. Yes, the third. Those who don’t know who Fry is probably don’t live in Britain (or Australia, to be honest) as he is constantly on television as the host of QI, presenter of various documentaries, comedian in classic comedies Blackadder, A Bit of Fry & Laurie and Jeeves and Wooster as well as writer of several novels and other books. He also does movies from time to time, most recently playing the rather gross mayor in the second and third Hobbit movies. There we have it! So what are your teasers for today, if you’re participating? What are your thoughts on this teaser? After saying something in an earlier post about how little music is released at this time of year, I’ve gone on to discover over a dozen new albums that I am really enjoying! So here’s a quick taste of some of those albums – I think it’s about time I did regular music recommendations again, yes? This week I have three singer-songwriters who have all blown me away as well as a psychedelic band who you might half-know…not in that order though. As always all albums have clips of songs and I would love to hear your thoughts in the comments! Okay, this is new-ish. It was actually released a couple of years ago, but from what I can gather only in Canada from where this songwriter comes. Which is strange for an album he spent four years on, when you think about it. But finally he has released it in America and around the world as of this week – thank goodness for that. He himself cites the likes of Wilco, Elliot Smith and Neil Young as his influences although he has also been favourably compared to Nick Drake, but while his music is mostly folk there are elements of pop and other genres lurking beneath the surface, plus some very lush instrumentation as the songs go on. A haunting album of melancholy songs that are hard to place into any one genre, this American songwriter has captivated me since this release a couple of weeks ago. Her voice is powerful and yet gentle, reminding me vaguely of Dolores O’Riordan (singer from The Cranberries), while the music is very evocative of snow capped mountains, glaciers and, as the title suggests, the dark depths of the oceans. This is already a favourite album of this year so far – give it a listen and see why! Teaser Tuesdays is a bookish meme hosted at Should Be Reading. Getting involved in this one is quite simple – all you need to do is take a book you’re currently reading, open to any page randomly, and share two sentences from the page (being careful not to reveal any major spoilers, so, you know, don’t go to the last page and “randomly” share the final twist). I’ve decided to share my two sentences from a book called Portrait of an artist, as an old man. The book was the final novel written by Joseph Heller, most famous for his classic novel (and my favourite ever work of fiction) Catch-22. 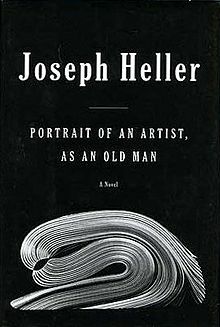 I have had mixed feelings about Heller’s other works, as have most people, and he seems to address that here as he writes a story of a frustrated old writer who has never repeated the success of their earlier work trying to find the right subject for their final novel. Through this fictionalised version of himself, Heller also pays tribute to his favourite writers but also to other writers who never lived up to the success of their earlier work either, such as Joseph Conrad and F. Scott Fitzgerald. They also parted friends, although his heart was filled with a galling sense of injury and of enmity toward her also. Who the hell did they always think they were? What book/s are you reading at the moment? I’d love to hear from you as always!